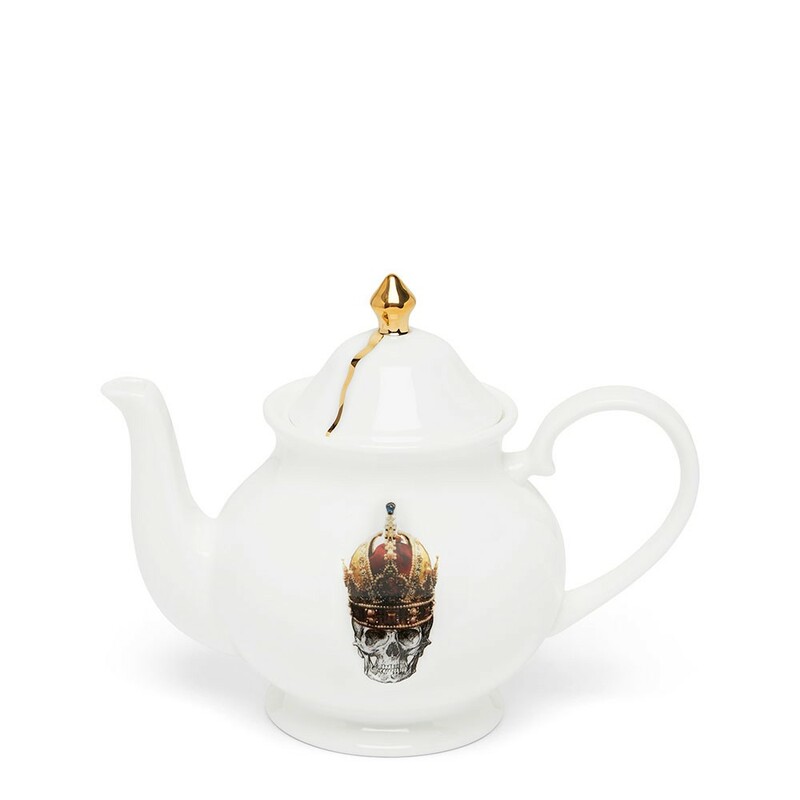 A small, elegant version of our bone china teapot now with our Skull in Red Crown design, featuring a 22kt hand gilded drip lid. Enjoy a regal cup of tea, where royalty meets rock and roll. The perfect teapot for any occasion, pours 2 cups of tea. Makes a delightful gift on it’s own, or mix and match to create a unique set. 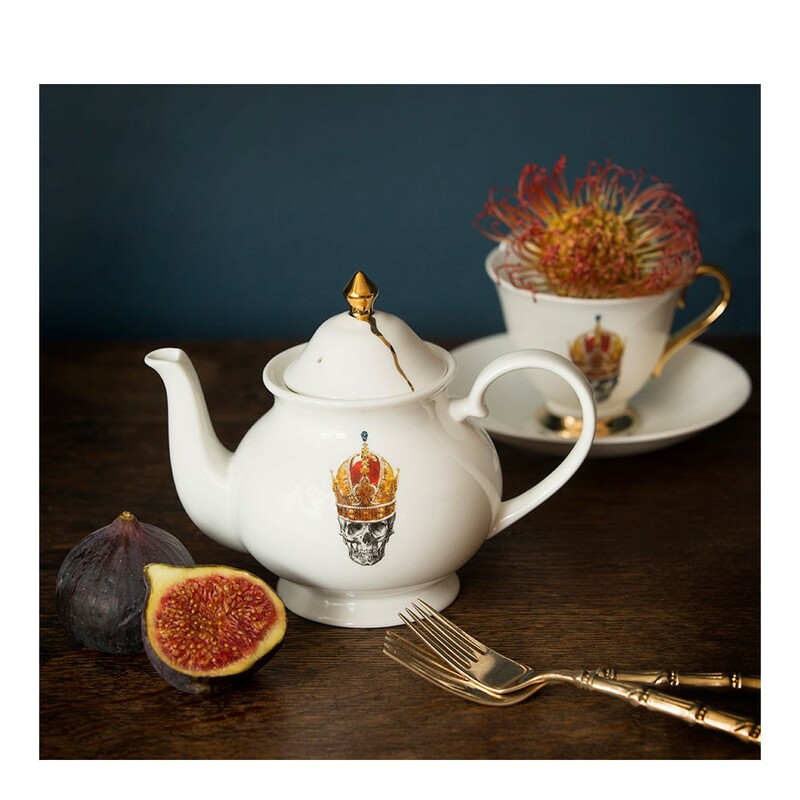 Teacup and saucers, plates and cream jug are also available in the Skull in Red Crown design.